Here's another one of the wonderful lunches my mom made for me last week. Yes, it is just salad. Who needs a recipe for a salad right?! It seems so simple and obvious, but it's a great meal and I feel everyone should know how to make it! 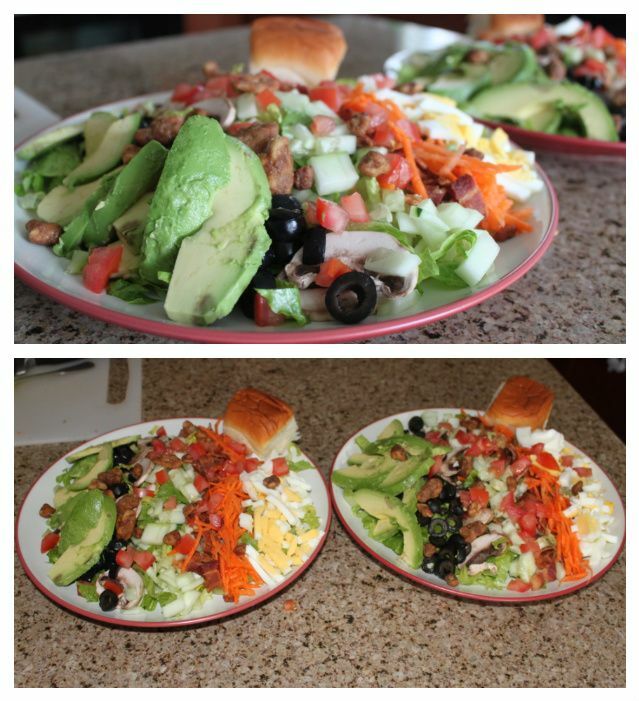 My hubby even eats these because you put whatever you want on them making it your perfect salad! I also realize these look giant. They were! I ate half for lunch and then the other half the next day. Those salads are beautiful. I have been loving chopped salads letely. Normally I do a Greek version, but I will have to try this one! Yum-O!! I bet it tasted as delicious as it looks! looks good. i seriously could finish this in one sitting! Seriously almost licked my screen.... So delish!! Love Love Love your looks btw!! I know this looks so good! Time to go grocery shopping! This looks delicious. I love salads and my boyfriend and I love Hawaiian bread.